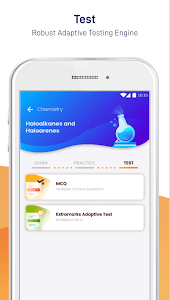 With Extramarks – The Learning App, there is no dull moment during studies. We make boring concepts come alive through our rich, visual learning journeys. Making use of AR, VR, Gamification and latest graphic and animation techniques, we ensure concept clarity along with exam readiness. 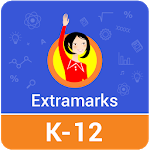 Extramarks has reinvented its look and feel and added a host of new features to bring more fun to learning. 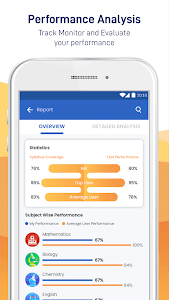 You will now get an enhanced learning experience along with in-depth analysis of your performance. A plethora of rich, interactive new learning videos are waiting to be explored. Whether it is homework, self-study, projects, essays, tests, assignments and more, you can find solutions for everything in our visual and exciting learning modules. -	We have the largest repository of rich, animated visual learning modules. -	Our solutions cater to all the major boards in India, CBSE and ICSE included. -	From KG to grade 12, we cover the entire K12 spectrum. 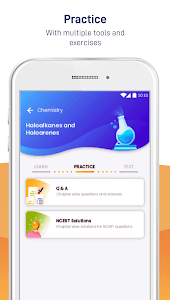 -	We are the ONLY app providing solutions for ALL subjects and ALL classes. -	All our modules are engaging, interactive fun! -	We create immersive, interactive modules using 2D and 3D animations. -	You can take a virtual tour of a pre-historic site, or see how a heart pumps blood or learn the internal functioning of all gadgets and instrument through life-like videos. 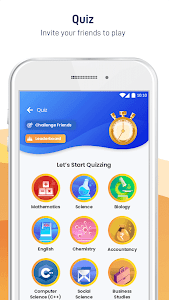 Find all solutions for all subjects like Science, Maths, Social Science, English, English Core, English Elective, Hindi, Sanskrit, Economics, History, Geography, Political Science, Accountancy, Business Studies, Physics, Chemistry, Biology, Computer Science (C++ and Python), Informatics Practices, Multimedia Web and Technology etc. Our practice and study material is aligned to NCERT books and coverage of all topics along with NCERT Solutions is provided. Learn- Concepts are explained to you in great detail using our rich media-based learning modules. Practice- You can practice the learnt concepts through a variety of tools and services. 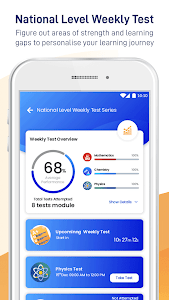 Test- All your knowledge and comprehension is checked through adaptive tests with progressive difficulty levels, and National Level Weekly Tests to create an upward learning graph! We have exhaustive questions and practice material for you to become confident and exam ready. More than 10 lakh online tests have been taken by our students. With National Level Weekly Tests, now students can check their level of preparation on a national level. We generate instant peer rankings and reports based on these test. -	Concept Learning – A quick explainer to help you understand the core concept. -	Detailed Learning – A look into the theory and in-depth explanation of the concept. -	Quick Learning – Capsules and mind-maps for quick revision and retention. -	Get stats on average time spent per question, accuracy, level of mastery, etc. -	Gain insights on highest and lowest scored subject. -	Get instant peer rankings. Extramarks is a pioneer in bag-less learning! We are the first company to completely digitize schools and classrooms.Our game-changing technology first found application in MES Petambi, Kerala. Asha Byju – Principal of MES Pattambi School, has lauded Extramarks efforts towards improving student outcomes. Choose your board, class and subject and add some fun to your learning! 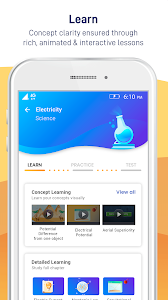 Similar to "Extramarks – The Learning App"